With a lack of leadership from the federal government, New York is one of the first states to implement new cyber regulations. The state is quietly working to prevent a major cyberattack that could bring down Wall Street’s financial system. But even with the strictest cybersecurity regulations in the country, experts warn New York’s efforts may still not be enough. Five months before the 9/11 attacks, US Secretary of Defense Donald Rumsfeld sent a memo to one of his advisers with an ominous message. “Cyberwar,” read the subject line. Attached was a 38-page paper, published seven months prior, analyzing the consequences of society’s increasing dependence on the internet. Once America’s enemies got around to fully embracing the internet, the report predicted, it would be weaponized and turned against the homeland. The paper’s three authors — two PhD graduates and the founder of a cyber defense research center — imagined the damage a hostile foreign power could inflict on the US. They warned of enemies infecting computers with malicious code, and launching mass denial of service attacks that could bring down networks critical to the functioning of the American economy. Willie Sutton, the notorious Brooklynite who spent his life in and out of prison, once told a reporter he robbed banks because that’s where the money is. Computer hackers aren’t so different. 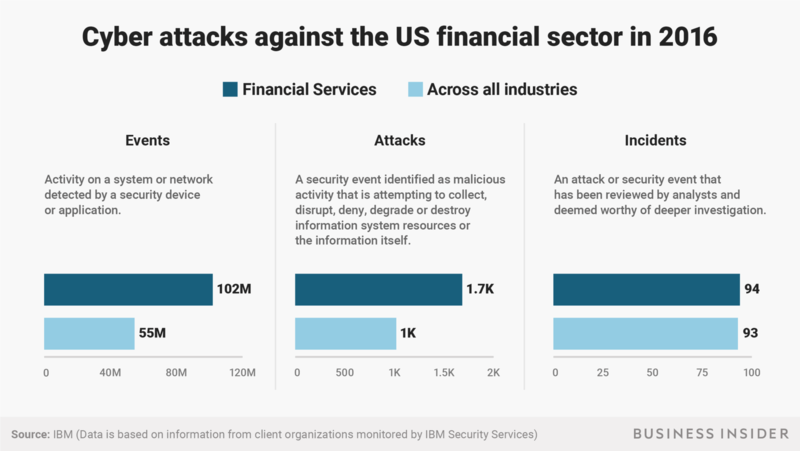 In 2016, hackers attacked companies in the financial services sector more than companies in any other industry, according to IBM. Over 200 million financial records were breached that year, a 937% increase from 2015. And that’s not including the incidents that were never made public. So it was no surprise when in September 2016, Gov. Andrew Cuomo announced that the New York State Department of Financial Services (NYDFS) was gearing up to implement sweeping, first-of-their-kind cybersecurity regulations to protect the state’s financial services industry — an unprecedented move no other state or federal agency had taken anywhere in the US. Cybersecurity in New York’s financial industry was previously governed by voluntary frameworks and suggested best practices. But the NYDFS introduced, for the first time, regulations that would be mandatory, including charging firms fines if they didn’t comply. Maria Vullo, the state’s top financial regulator, told Business Insider that her No. 1 job is to protect New Yorkers. The combined assets of those organizations exceed $6 trillion, according to the NYDFS — and they’re all in constant danger of being hacked. They got hold of roughly 83 million customers’ personal information, including names, addresses, phone numbers, and email addresses. The hackers didn’t steal any money from personal bank accounts, but that wasn’t the point. The JPMorgan hack wasn’t the end game. It was a piece of the puzzle. The attack began with the simple theft of a JPMorgan employee’s login credentials, which were located on a server that required just one password. Most servers with sensitive information like a person’s banking data require what’s called multi-factor, or two-factor authentication. But JPMorgan’s security team had lapsed and failed to upgrade the server to include the dual password scheme, The New York Times reported at the time. That’s the kind of catastrophic damage that worried the authors cited in Defense Secretary Rumsfeld’s 2001 memo. They weren’t only concerned about stolen email addresses and social security numbers. They were worried about the fallout from such activity. Some companies saw it as a chance to improve their own security standards while others complained of government overreach. Some were relieved to find they wouldn’t have to make any adjustments to the way they operated. Others were overwhelmed by the heavy lifting they would have to do to comply. The only additional thing Berkshire Bank has to do is sign off on its annual compliance form, which it sends to NYDFS to prove that it’s doing everything it’s supposed to be doing. “We actually have to do nothing [new] from a compliance standpoint,” the company’s chief risk officer Gregory Lindenmuth told Business Insider. 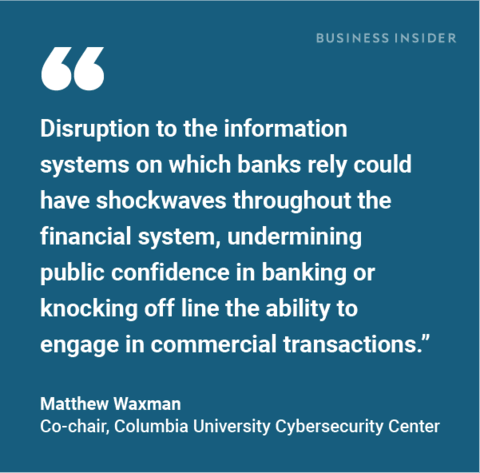 While several cybersecurity consultants told Business Insider they acknowledge the NYDFS rules as a positive step in the right direction, they also point to a new law in Europe as a leading example of the role government has to play in protecting individuals’ privacy rights and ensuring that companies secure consumers’ personal information. Comply before the deadline. Take our GDPR assessment quiz today. For the first time, a state government is taking seriously the protection of consumer data, they say. It’s giving companies in the financial sector an ultimatum: protect New Yorkers or face punishment. But the nature of that punishment is not entirely clear. “I do think that because of the scope of some of these regulations, they’re kind of blurring the lines between countries and continents. I think we’re going to see more and more of this,” GreyCastle Security CEO Reg Harnish told Business Insider. The New York-based consulting firm is helping companies comply with the new regulations. Last year, at least 42 states introduced more than 240 bills or resolutions related to various cybersecurity issues, according to the National Conference of State Legislatures. And since the NYDFS rules took effect, financial regulators in Colorado and Vermont have followed New York’s lead with cybersecurity regulations of their own. Indeed, cyber experts have come a long way in better understanding the threats we face since Rumsfeld’s dire cyberwar memo in 2001. But 17 years on, the former secretary of defense’s concerns still seem as relevant as ever. This article is by Brennan Weiss for Business Insider here.